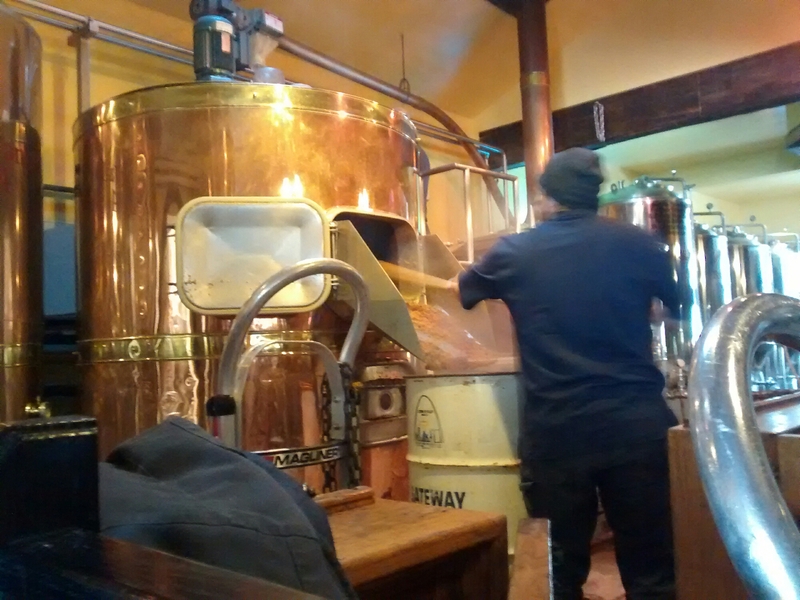 I worked from Ellicottville Brewing Company this week; they were doing …something… to the …mash? Smelled delicious. Those are words I have heard brewers use. Jealous. That wasn’t John Harvards, was it? Looks like they’re cleaning the mash tun. Mmmm. Beer. Maybe they were mashing the mash. I wonder if it was a monster mash.